Home / Who is most at risk for construction accidents in New York? What happens next? Construction is the most dangerous job category in New York City. In 2011, the U.S. Bureau of Labor Statistics reported that there were 71 people who died from on-the-job injuries in New York City, and many of those deaths were from construction accidents. It is important for construction workers and others to understand what makes construction jobs so dangerous and to recognize that there are options to prevent construction site accidents. Sandhogs: These miners blast tunnels for train projects and dig for bedrock when creating building foundations. They risk tunnel collapse, falling debris, explosions and handling heavy equipment. In 2011, one sandhog in New York City died after a large rock fell on his head. Ironworkers: Ironworkers weld and construct steel building frames. Some of the risks of this job include falling from high elevations and being crushed by heavy steel beams. MTA Third-Rail Trackworkers: MTA needs people to repair the electric third rail in order to keep the trains moving. Third-rail trackworkers face electrocution dangers and being hit by a train. The Occupational Safety and Health Administration (OHSA), which regulates workplace safety, identifies a “fatal four” injuries that accounted for 435 construction accident deaths nationwide in 2012. Those construction site accidents include falls, being struck by objects, electrocutions and getting caught in between accidents. OSHA reports that there were approximately 3.7 job injuries for every 100 construction workers nationwide. What happens when someone is injured on the job in construction accidents? For serious injuries after construction accidents, workers can file a claim with the New York State Workers’ Compensation Board (WCB) after giving notice to their employers. 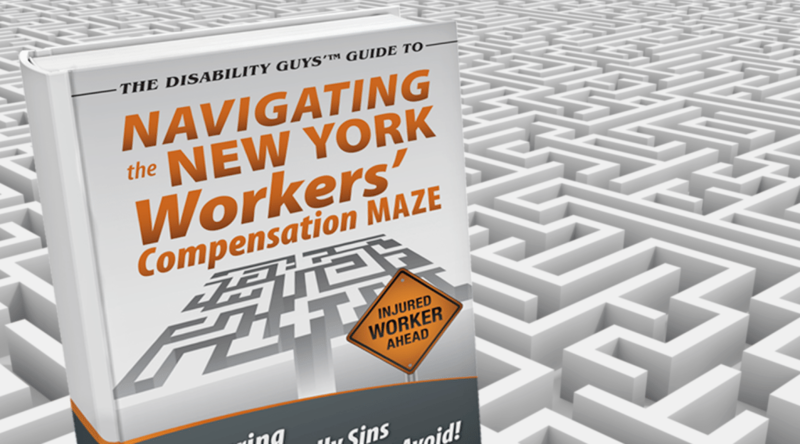 Through the WCB, workers can receive repayment for the full medical costs of their injuries, partial wages while they are incapacitated and vocational rehabilitation services when necessary. If an employer denies an initial claim to the WCB, workers have the option to appeal the decision in front of an arbitrator, and the arbitrator’s decision can be appealed through the New York State court system. What legal protections do workers have in regard to on-the-job injuries? OSHA enforces safety standards at work by periodically inspecting work sites. These safety standards include things like proper scaffolding construction and wearing safety helmets when on the worksite. Employees can report a safety concern anonymously through email or by calling OSHA’s office. The attorneys at Markhoff & Mittman are ready to defend workers’ rights to a safe work environment and fair compensation in the event of an on-the-job injury in New York. Our attorneys understand workers’ compensation laws, OSHA regulations and employment discrimination laws surrounding on the job injuries. Contact Markhoff & Mittman at (866) 205-2415 or watch a quick video straight from one of our construction accident injury lawyers himself, Brian Mittman.